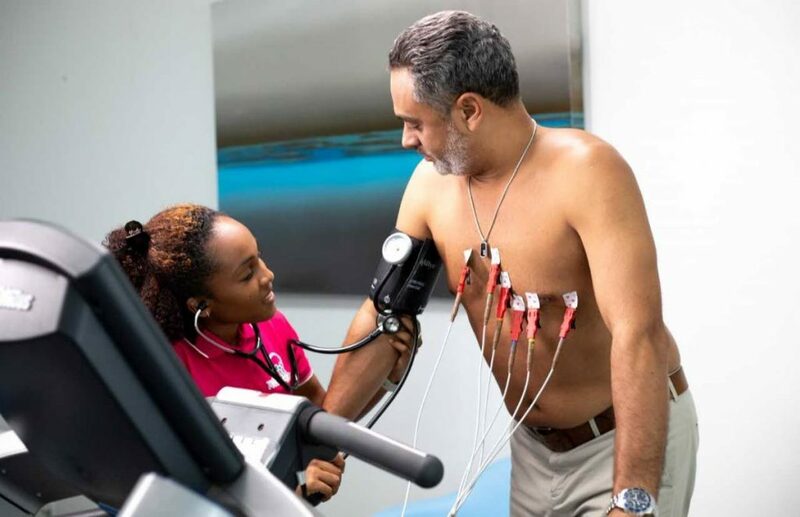 Dr Raquel Sukhbir, who specialises in cardiovascular disease prevention, is on a mission to stop people from having heart attacks and strokes. WITH a background in cardiology, Dr Raquel Sukhbir is on a mission to stop people from having heart attacks and strokes in the first instance, and then to introduce anti-ageing medicine. She says that is really an umbrella term for internal preventive medicine, natural medicine and weight loss, all key parts of the anti-ageing process. Sukhbir is a medical director at Gray’s Medical, and built her career largely in UK hospitals, eventually specialising in internal medicine at St George’s Hospital in London. Describing the effects of anti-ageing medicine, Sukhbir spoke of an 81-year-old patient who came to her for haemorrhoids, was treated and they are gone. She said in addition, he has since been eating well and exercising, and has no high blood pressure nor diabetes. “He is just healthy, with lean muscle and hardly any fat. His skin is glowing and, most important thing, he is totally independent. I am pretty sure he will stay that way until 100. Anti-ageing medicine is not only for older people. Sukhbir is also treating women in their 30s going into perimenopause, and also treating people in their 20s. She spoke of weight loss in relation to anti-ageing medicine. Chelsea-Marie Spence, left, from Total Rehab, who is an exercise provider, works with a patient. Spence and Sukhbir work out how the patient should exercise. “We all know that our number-one killers in TT are heart disease, diabetes and stroke. "But what we need to focus on is why. She reasoned if patients keep off the weight they are not going to get diabetes. because their diet is going to improve and "they are going to become more like my 81-year-old, and live independently." Asked how one loses unwanted weight and keep it off, Sukhbir did not mince her words. “It is really difficult. Seventy-seven per cent of people worldwide are trying to lose weight, and only five per cent maintain it in five years. One hundred per cent of people regained almost half the weight they would have lost after one year of commercial programmes. "So there are two types of people. One are the crash dieters and they follow the latest popular diet, and unfortunately you end up with nutritional deficiency and end up putting on more weight you lost to start with. She said women in their 40s don’t have oestrogen levels in their bodies any more to compensate for their stress levels, thus causing their cortisol hormone to go up and their chronic stress levels to flatten out. Explaining what cortisol does and why women can’t lose weight from problem areas, Sukhbir said cortisol acts on one’s brain, making the person get cravings and never feel satisfied. She said it also acts on one’s stress, getting adrenalin circulating, and blood pressure going, thus bringing on anxiety. But there is no simple remedy. It’s very tough, said Sukhbir. She said each patient must be committed, want to be well, want to lose weight and must accept that there is no quick fix, but do what must be done to save their life and do it with support. 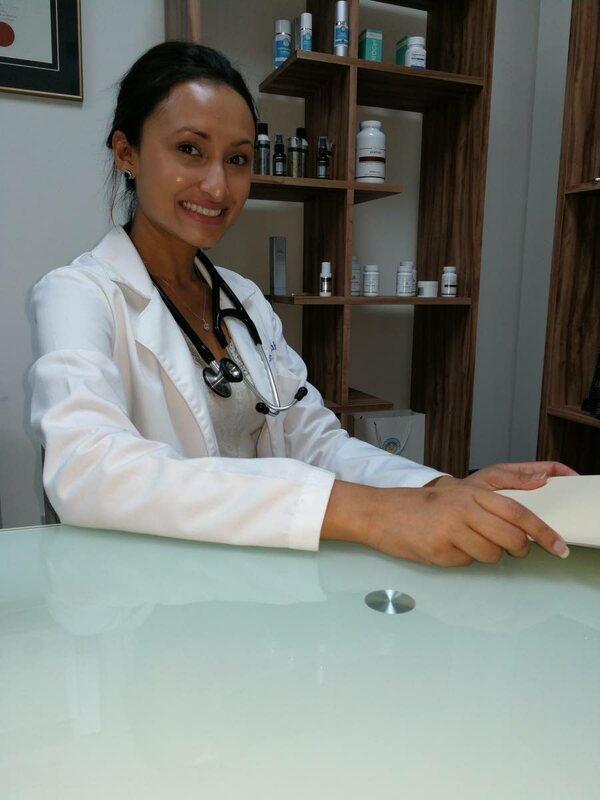 Sukhbir starts by working on her patients’ hormones, changing the balance. All this happens after blood tests. Sukhbir insists those tests are not what regular doctors do. “We figure out what is your specific problem and then we work out what you need to do in terms of the eating. So generally for everyone I follow an anti-inflammatory diet, then decide how much carbohydrates and proteins will be required for your specific diet. I don’t count your calories or measure your food: just that half of your plate should be green with vegetables, a fistful of brown rice or provisions or quinoa, and a little less of the plate for protein, either fish, beans or peas. Twice a week it could be chicken, twice a week rather than once a day it could be eggs, and the weight goes off. The next key step is exercise. “You can hire a personal trainer and kill yourself in the gym, but you will never lose your problem areas and the fat. What you are losing is muscle. What's the option for someone whose schedule doesn’t permit normal eating and exercise? Sukhbir said she and her team offer meal replacements that may include avocado, which can be eaten twice or three times a week, with protein powder, flaxseed etc, and then she’ll supplement them nutritionally. She says no matter how busy one is, she will teach them how to cook, once a week, certain things that can be assembled on any given day, on the go, such as quinoa cut up, lentils boiled and so on. So what about the exercise part? “There are home exercises that can be done." She suggests getting a fitness tracker that can count how many steps you take in a day (4,000 is the figure she suggests). "Then try to fit in your day three ten-minute walks, and after a couple sessions with the exercise physiologist you will learn everything to need to know about resistance work for your muscles." Mountain climbers, floor exercises, ball and squat exercise are among those she recommends. substrate for fuel. You try to burn off sugar and fat when you are exercising, so you could be exercising just to burn off your alcohol. But you can drink a glass of dry wine with a meal – red or white. “In terms of sugar content vodka is good. However, it is a much stronger alcohol than wine, so what you are gaining in terms of sugar benefit will lose the effect on your liver, and you need your liver to be clean of fat." Noting that beer has a lower alcohol content than wine, Sukhbir said the client will still have to sort out their nutritional deficiencies, and make changes to their eating pattern by avoiding anti-inflammatory foods, and must exercise. Among the foods she recommended is curry made with turmeric-rich cumin. “All herbs and spices are good. Bodi and potato are also good, especially with curry fish. You can make stew chicken and use coconut sugar, and it can be eaten with cassava. "By and large, though, there should be no dairy, gluten, sugar and corn when you start, for about two weeks, and then you can reintroduce them and see how your body feels." Sukhbir added that people can also eat bread and cheese but not every day; cauliflower pie with kale, and lean minced meat once every two weeks. However, it’s better to stay away from red meat – you can still have chicken twice a week and shrimp. She added that no-meat substitutes like soy are good, but fish or chicken is preferable. And avoid transfat-containing foods like cookies and cakes. "For the average weekly diet the 40-year-old can look at the Mediterranean diet and eat as much as they want of vegetables, fruit, potato and fish. If they are eating bread, try whole grain, brown basmati rice, quinoa (with any kind of nuts and cranberries) and try to have a little bit of vinegar, sardines and green tea." Sukhbir spoke of HCG – Human Chorionic Gonadotrophin, which she described as a protocol, not a diet. Overall, clients are most interested in weight loss and a good feel of oneself, optimising their health from natural and integrated medicine. Reply to "Doc’s mission to lower heart attacks, strokes"